Kosich Firewood has recently expanded its Truckee / Tahoe division to include tree service work as well as defensible space and yard clean up. Services we provide consist of tree removal and pruning, clearing out dead or undesired brush, removal of pine needles and other debris to make sure your home has the necessary defensible space needed for the up and coming fire season. 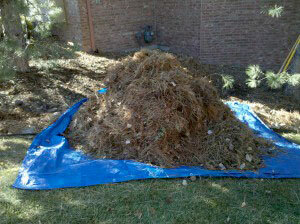 Along with cleanup we can haul all unwanted yard waste and other unwanted household items away. Our experienced and dedicated team will respect your surroundings and landscape as we perform the work necessary. 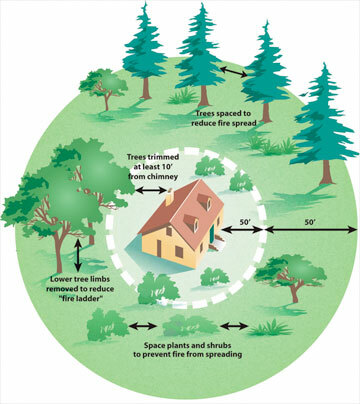 Defensible space is an area around a structure where fuels and vegetation are treated, cleared, or reduced to slow the spread of wildfire towards the structure. A house is more likely to withstand a wildfire if grasses, brush, trees, and other common forest fuels are managed to reduce a fire's intensity. It also reduces the chance of a structure fire moving from the building to the surrounding forest. While some trees pose an unacceptable risk that cannot be mitigated except by removal others can be kept healthy by removing smaller trees around the base or by just pruning the existing tree. Weather your looking to remove trees due to safety concerns, lot clearing or view enhancement Kosich Firewood can provide a completive quote and get the job done in a matters of days. We can also council you on what permits or approvals you may need from local government agencies. 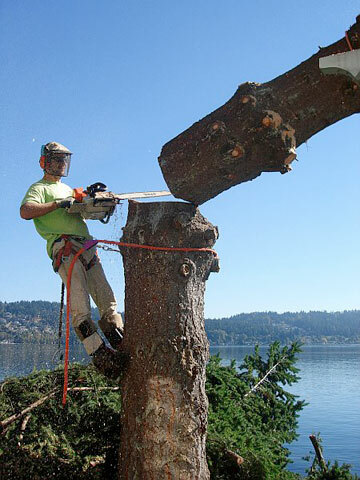 While some trees must be removed pruning is also a common tree maintenance procedure needed to keep your property looking good.. Pruning is often desirable or necessary to maintain safety, improve tree structure and health and make the tree aesthetically pleasing. Cleaning: the selective removal of dead, diseased, broken, or weakly attached branches from a tree. This is the most common pruning technique. Regular pruning should correct small growth problems before they have a chance to become large problems. Thinning: includes crown cleaning as well as selective removal of branches to increase light penetration and air movement throughout the tree, and to improve structure. Raising: removes the lower branches of a tree in order to provide clearance from buildings, vehicles, and for defensible space purposes. Vista Pruning: is pruning to enhance a view. *Border on map is approximate. If you are near the border, please give us a call, or use the form at the bottom of this page to request a quote. There are times when the removal of trees and bushes may not be necessary . If you are just looking to remove excess pine needles, fallen branches, leaves or other unwanted house hold items we are glad to get these items cleaned up and taken away. 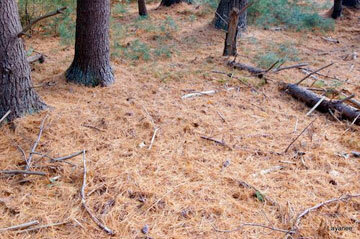 Tree Service / Defensible Space / Yard Cleanup is only available in the Truckee/Tahoe region. We will respond to your request within one business day.